To help you file your tax return in time this year, TurboTax has put all of their online versions on sale. Choose from Deluxe, Premier or Self-Employed (this version replaces Home & Business). For the Deluxe version it means if you file today you’ll get an extra $5.00 off with our instant coupon (normally it’s $59.99 but the coupon drops the price down to $55.99). And because it’s 100% web based software, you don’t need to install anything on your commuter and can complete your tax return from any internet-connected device (including your iPad, phone, work or home computer, etc.). If you’re a small business owner, independent contractor or freelancer are using, or are thinking about using, QuickBooks to run your accounting, then you check out the QuickBooks Self Employed option that includes TurboTax software part of the package. For $12/month for your first few months (it’s $17/month thereafter) you’ll get full access to QuickBooks Online to ease up your finances and be able to file your tax return annually using TurboTax Home & Business. Intuit boasts that QuickBooks Self-Employed users find “an average of $3,809 in potential tax savings per year” so if that’s the case, then it’s worth at the very least trying it out for a month or two (you can cancel it at any time). We’ve put together more details about it which you can see here. This is an ongoing offer from Intuit. TurboTax Online lets you try it free. If you’ve never filed with TurboTax before, you are thinking about doing your taxes for the first time this year, or if you’re looking to switch from another tax software program then you can try the online versions of TurboTax for free. Unlike other software programs that give you a predetermined time period to test out their software, you can start working on your tax return and get just about to the very end right before filing without paying anything. You’ll see all your deductions, how big of a refund you’ll get, and most importantly, how much you made all together last year. Only once you decide to complete your tax return, you will be required to purchase the specific version you were using before eFiling. This offer is open to all customers, both new and returning clients. If you or your spouse (if filing jointly) are actively employed by the military, navy, army, marines, or national guard, then you may qualify for the free or discounted “Freedom Edition” version of TurboTax. To qualify, your Adjusted Gross Income (AGI) will need to be less than $57,000 for the 2018 tax year and your rank can not be higher than an E-5. If you are classified as an E-6 to E-10 officer then your Federal tax return is available with a $5.00 discount. Follow the above link to learn more. Available to active and qualifying military personnel. Students get a break on TurboTax software. As a student you have more important things to worry about than thinking about your tax return, and even more so, how you’re going to pay for it. TurboTax has you covered this year by letting students file their tax returns for free. You’ll be able to use forms 1040EZ or 1040A and be able to deduct all of your school related expenses (i.e. textbooks and tuition fees). Certain restrictions apply when using the student version of TurboTax so be sure to see their terms and conditions for full details. Open for qualifying students only. Pay for TurboTax from your refund. Deduct your TurboTax fee automatically. You don’t have to pay for TurboTax software using your credit card – you have another choice. When using any of the TurboTax Online versions, including Deluxe 2019, you’ll be given an option of paying for it from your Federal tax refund. The way it works is that if you have a Federal tax refund coming your way that is more than what you’ll owe for using TurboTax to file your taxes, TurboTax will automatically pull the payment from it before sending you the rest of your refund. So if you don’t have a credit or debit card, or simply don’t want to get up to look for your wallet, you can just check the box for the refund payment processing option. Just remember, if you’re not expecting a Federal refund then you (obviously!) won’t be able to take advantage of this offer. Extra terms, conditions, and fees may apply. File a 6-month Federal & State IRS extension. Use TurboTax to file your tax extension. The tax deadline this year is April 15th, but if this is not enough time for you to make it in time, then be sure to file for a tax extension to avoid the last fees and interest charges. You can do all of this through TurboTax and get confirmation of the extension within 24 to 48 hours. Then you’ll have all the way up to October 15th, 2019 to complete and file your return. Just remember, if you anticipate owing the IRS and money, either Federal or State taxes, then you still have to pay by April 15th, 2019 to avoid the late payment penalties. Apply for your tax extension through TurboTax. Use the TurboTax App to file this year. New iPad/iPhone TurboTax app available. You don’t have to install any software at all to file your taxes this year. Just download the free TurboTax App from the Apple App Store and you can quickly bust through your tax return in no time from you iPad or iPhone. And because TurboTax Online is all web-based, as long as you use your same login information next year, it’ll remember your details to help speed up process next year. Of course you also have the option to use your laptop as well – just sign-in at turbotax.intuit.com to pick up where you left off. Available free for Apple and Android devices. Affordable Care Act in TurboTax. Proof of Healthcare in TurboTax. Now that you need to show proof of insurance at the time of filing your taxes, TurboTax has you covered regardless if you have a Marketplace Plan (Obamacare) or privately insured, such as through your employer. If you didn’t have insurance for all of part of 2018, then they can also help you figure out if you qualify for an exception. That includes seeing if you qualify as a low income individual or if because your living abroad lets to forgo insurance (i.e. expats). See TurboTax.com for details and qualifications. How do these TurboTax offers work? Unlike many other online stores that have a discount code box located somewhere on the checkout page, you’ll find that TurboTax doesn’t have one. That’s because any orders completed from the official TurboTax store implement any available discounts automatically to your shopping cart when you follow the advertised link (typically it leads you to a special landing page with the promotion listed). Once there, just choose the product that you wish to purchase (i.e. the Deluxe version) and login to your existing TurboTax account. If you don’t have one then you’ll have the option to create a new one for free before you proceed. You may also run across a box on the checkout page where it asks you to enter a “service code”. A service code is not a coupon but rather an opportunity to link your order with any help that you may have received from a TurboTax customer support representative. If you chatted or talked to one before making your purchase, and they provided a code for you to use, then this is where you’ll be able to enter it. If in year’s past you used a discount from Bank of America, Vanguard, Citi Bank, AAA, Capital One, Visa or from any other financial institution or Credit Union, then some of these offers may or may not be still available for 2019. You can contact the companies where you have an account/are a customer to see if they are partnered with TurboTax again this year. Just remember that offered can not be stacked so choose the one that gives you the lowest price. Plus, keep in mind that prices tend to go up late in the tax season and are subject to expire before you end up paying your purchase. Does the desktop version of Deluxe include full Schedule C in 2019? If you’ve been using the desktop/download version of TurboTax Deluxe for several years, then you probably affected when last year Intuit decided to pull Schedule C forms from Deluxe. That forced many clients, if not most clients, to upgrade to a higher, more expensive version of the program. Well, good news is that support is back in the 2016 versions of Deluxe desktop just like it always was. We’ve posted a full article on the details and a summary of the tax forms included in both the online and desktop versions (funny thing is that even though they share the same name, then the form support differs between the two). 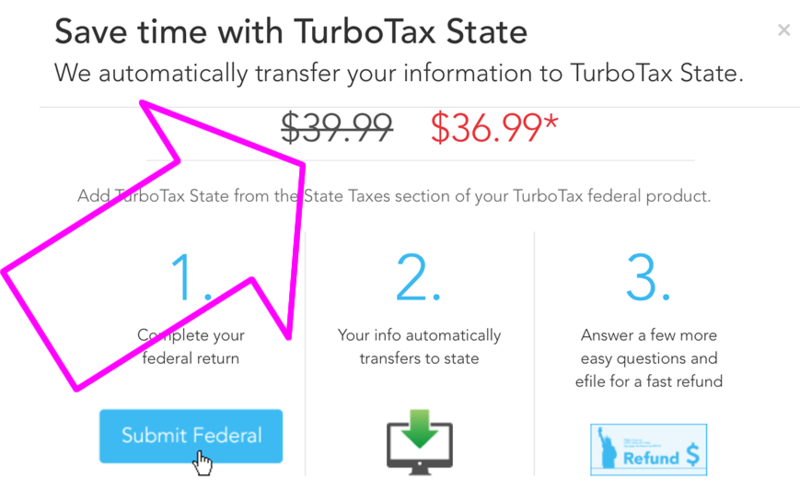 Is a State Return Included With TurboTax? That depends because some desktop versions include it and some don’t, so be sure you pay attention to which version you’re getting. It’s not the end of the world if you get a version that doesn’t have it because you can always upgrade, but often you’ll pay less if you get a version that already includes the State tax return. In terms of the Online versions of TurboTax, including Deluxe, all the prices quoted when you select one of the options do not include the State return. Normally it costs an extra $39.99 (with free e-file) but through most of the tax season when you use one of our official promo codes, you’ll get it for around $36.99 or so. Because you pay for TurboTax Online when you complete your tax return, there’s nothing you need to do upfront to have it added to your order – Just complete your Federal tax return and then the software will guide you through your State return as well. Hey, what happened to the Amazon-TurboTax refund bonus offer? If you’ve been wondering what happened to the Amazon-TurboTax refund bonus offer this year, then we’re sad to be the ones to tell you that it hasn’t returned for 2019. It was a pretty good deal; for anyone that was expecting to receive a federal tax refund, filing with TurboTax Deluxe could earned you the opportunity to put some or all of your refund on an Amazon gift card for up to an extra 10% on top of that amount for doing so. So for example, if you opted to put $3000 on the card (that was about the average tax refund per household according to CNN) then you would get a balance of $3,300 on it. For all you regular Amazon shoppers it was a great offer because it either way you’re shopping there so why not get extra Amazon bucks for free. But what is TurboTax’s loss is now H&R Block’s gain. That’s right, if you switch over to H&R Block tax software, which by the way is pretty similar to TT with both online and desktop versions available for do-it-yourselfers, you’ll be able to get 10% on top of your federal tax refund if you elect to put part or all of the amount coming back to you on an Amazon store gift card. However we’ve only seen it offered on H&R Block software sold directly from Amazon. What’s cool with H&R Block is not only you can easily import your older tax return automatically from a competing program, like TurboTax, but also you get free in-person audit support with a certified tax professional at any one of their local offers across the nation. 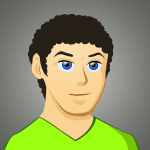 Included will all versions of the software are is also a maximum refund guarantee and 100% accuracy guarantee. If you’re interested, be sure to see our individual Basic, Deluxe, Premium, and Premium & Business special offer pages for the full list of promotions available through April 15, 2019. TurboTax for 2020, Release Alerts! 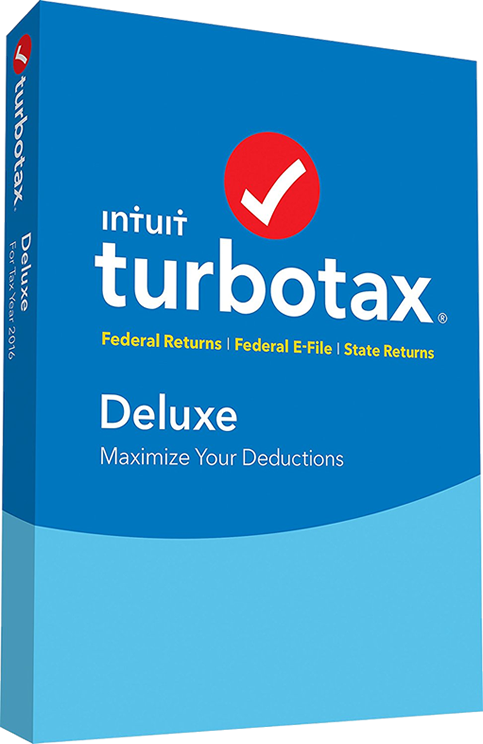 Deluxe is the most popular version of TurboTax (and we all know that TurboTax is the #1 best selling brand of tax software). It’s made for those that own their own home and have lots of various deductions, including home mortgage, childcare expenses, medical expenses or anyone that has donated to charity. If you own more than one property, have stocks or participate in other investments, then you will need to upgrade to the Premier edition. Single-owner business LLC’s, sole proprietors, and those receiving 1099 forms as contractors will need to upgrade to TurboTax Home & Business to do your taxes. Is there another tax filing program that is similar to TurboTax Deluxe? Yes! We encourage you to take a look at H&R Block at Home Deluxe which offers very similar features to TurboTax and is often priced for less. Both versions include a maximum refund guarantee and over the phone help from a tax professional if you get stuck along the way. As with every company, some of the details will vary so if you have time, you can try both TurboTax and H&R Block for free before you decide buy one or the other. When is TurboTax released each year? Expect to see Intuit release the new TurboTax 2020 versions in the United States in late-November, 2019. In Canada, expect to see the all TurboTax versions on sale by mid-January 2020. Have you found a coupon that doesn’t work? Do any of these TurboTax deals reflect an incorrect or expired sale price? Then please report the error to us and we’ll fix the issue. Even though we check these deals daily for validity, some sale prices can expire before we are able to catch them. We also encourage you to reach out to us with any questions or if you just can’t seem to be able to get a good enough deal on Deluxe – We’re here to help!